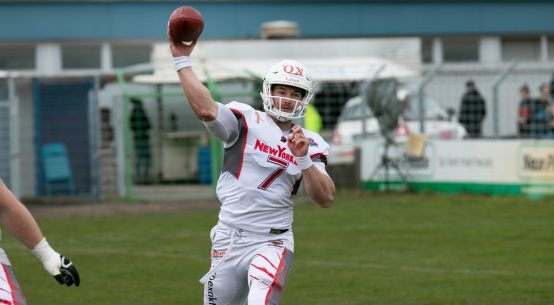 Der Importrunningback der Saarland Hurricanes zog sich beim Spiel in Kempten einen Bänderriss im Knöchel zu und wird wohl zumindest den Rest der regulären Saison verpassen. 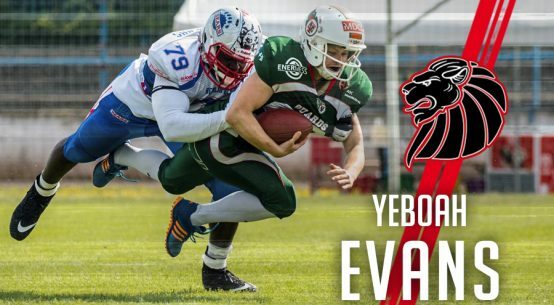 Import running back David Oku tears ligament in the ankle during play against Allgäu Comets, will miss the rest of 2017 GFL Season. When it rains it pours with bad news for the Saarland Hurricanes in 2017 and the injury saga continues with its next “out for season” victim of circumstance, import running back David Oku has suffered an ankle injury in play versus the Comets that caused a ligament tear that will need six weeks to recover from. This comes directly after his two-way effort against the Comets where he scored on the first play of the game for the Canes on a 70-yard run and played defense the entire game, manning up against slot WRs. The logical roster adjustments to Oku missing fall squarely on the shoulders of the fullbacks Jason Thomas and Leon Helm who are already playing two ways as LBs. David Oku remains positive and his wish was to be around the team and plug in where he could to help in training, film room and on sidelines. With the threat of playing relegation in the fall being very real for the Hurricanes, David could also even make a return to the field to help the Canes fight to stay in the GFL. 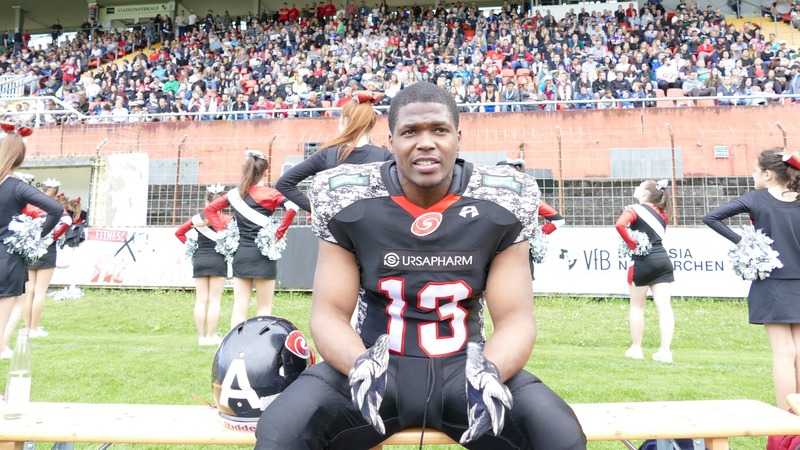 Whichever combination of Hurricane players makes up the offense and defense on Saturday, they will be up to a stiff test as the Samsung Frankfurt Universe will travel to Ellenfeldstadion. The Canes showed that they would like to use each opportunity they have to stay in the league and with the support of the home crowd, it’s not impossible.